Almost everyone who loves dogs has watched Cesar Milan at one point or another. Called the "Dog Whisperer" we are led to believe he has some magical insight into dogs, and his training is actually good. Especially since he is on National Geographic you would assume his information is factually correct and based on the latest science. Right? 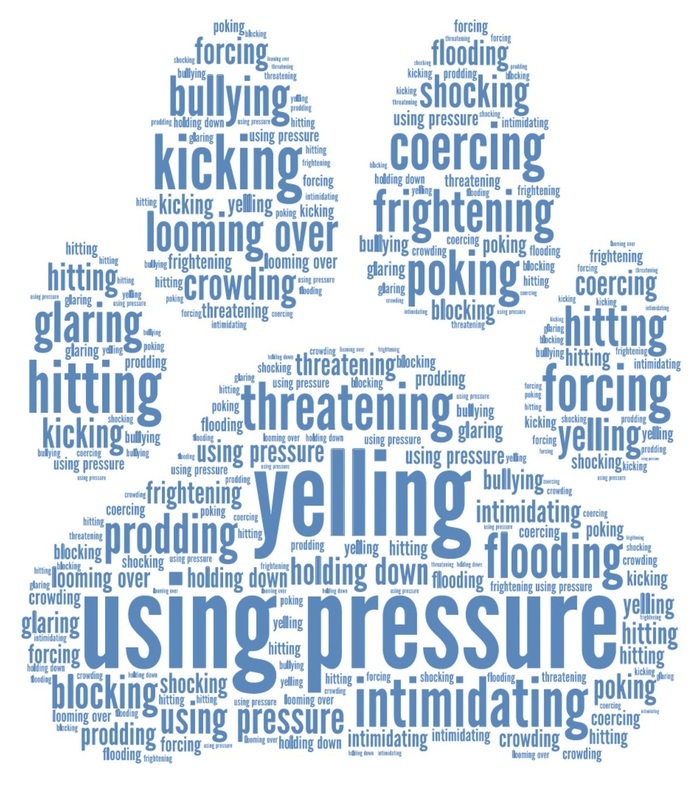 Sadly, Cesar Milan uses old, outdated methods of training based in fear, dominance and aggression - all of which have been debunked by leading behavioral scientists* as methods that not only don't teach your dog anything except to shut down, fear you and "obey" out of fear, rather than learn the skills needed to live successfully in a human world. Please watch this video of Cesar and judge for yourself. *Leading behavioral scientists/academics to learn from would be Patricia McConnell, PhD, Alexandra Horowitz, PhD., Dr. Ian Dunbar, DVM/Animal Behaviorist, Karen Pryor, and Jean Donaldson - to name a few. Please read this article by Victoria Stillwell, with the science behind why Dominance training doesn't work. Cesar Milan's technique's are dangerous and abusive. They are contraditory to all of the latest behavioral studies being done by real behaviorists. Please don't watch him, buy his products or support his methods.